I don't know about basketball skills. He still hasn't shown me anything that he could do at an elite level in the NBA. Sure, he has a freakish jumping ability, but there's so much more to basketball than that. I know it's easy to get sucked into his hype because of his dunks, and I don't blame you for that, but think to yourself - if you take his spectacular dunking highlights from him - is he really that amazing of a prospect? I don't think so. We've seen so many freak athletes getting drafted just because IN THEORY their ceilings are very high... But it's so ****ing rare that these raw athletes learn all these skills required to become a SUPERSTAR. That almost never happens. the game against kentucky actually showed he is more than just some dunker and that was against a team with the #2 rated recruits behind duke. he made everyone that tried to guard him look silly. more than a willing passer, can handle the ball, and showed some semblance of an outside shot, finish around the basket other than a dunk. but it doesn't sound like you watched that game. You're smoking. His jumpshot just has to be functional, not pretty. Zion is a freak athlete who has basketball skills. He's going to be one of the strongest players in the NBA the second he puts on a uniform. Wings will have hell trying to guard him. He needs to lose about 20lbs which is a concern but NBA training and a better diet could take care of that. He's a unique prospect. this. he has a rare combination. definitely above the level of college players atm and in this era of the league, he will absolutely fit. 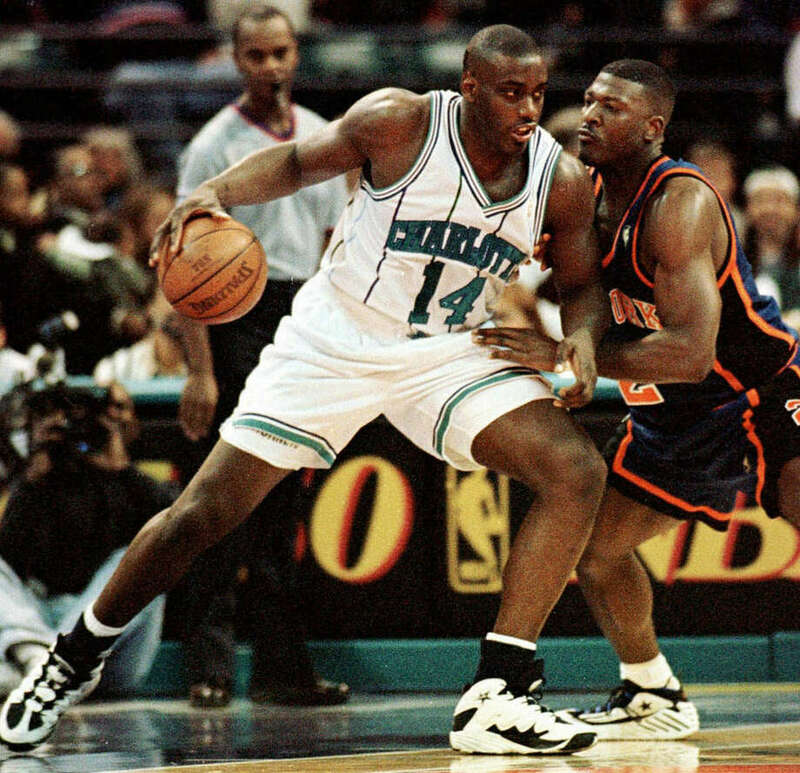 If Anthony Mason had LeBron James like hops and explosion with Grandmama swagger. Did you see the pass to Barrett on the break? Or his footwork on the step back jumper he hit? Or the strength/ and ability to finish at the basket with either hand off the dribble? Its a helluva lot more than dunking my friend. Answer me this: Did you even watch him against Kentucky? The game itself, not just a few highlights. He demonstrated plenty of skill, especially when you consider it was his first game as a freshman. I was very skeptical about Zion Williamson's NBA prospects prior to the Kentucky game. Now, it is obvious his upside is crazy. Depends how dedicated he is. OK good people. Just got home and missed the Army game. Viewed the box score. Can someone give a summary of how each guy looked? Is Zion a dominant rebounder (16)? Did he show good rebounding instincts? Did Cam look like a deadeye 3-point shooter? Did he hit some that were contested? What "skills" did Zion show on offense? Did he demonstrate pretty much everything like against Kentucky or was the 11/14 mostly dunks? Zion is the best player on Duke. Idc what nobody else says. Theres not much difference between RJ and prime JR Smith if you ask me. Cam is a streaky sharpshooter if that makes sense. But Zion is a BEAST. If you actually believe RJ is like JR Smith, I'll take your other comments with a grain of salt. How did Zion score his points? How many posts ups? How many jumpers? How many difficult finishes at the rim (non-dunks)? I saw his highlights on Youtube. Zion looks like a combination of Charles Barkley and LeBron. BigggReddd and roslolian like this. Zion is a once in a generation type athlete. Unless something goes wrong he is guaranteed to be a star in the nba. Lebron Jr coming into the league while Lebron is still playing lol. Now it all depends on his work ethic and desire for greatness. you are BLIND if you think this kid is going to be anything other than a Top 5 talent in the league. He's the next torch-bearer. Looked like leaner, shorter and younger Shaquille taking flight.